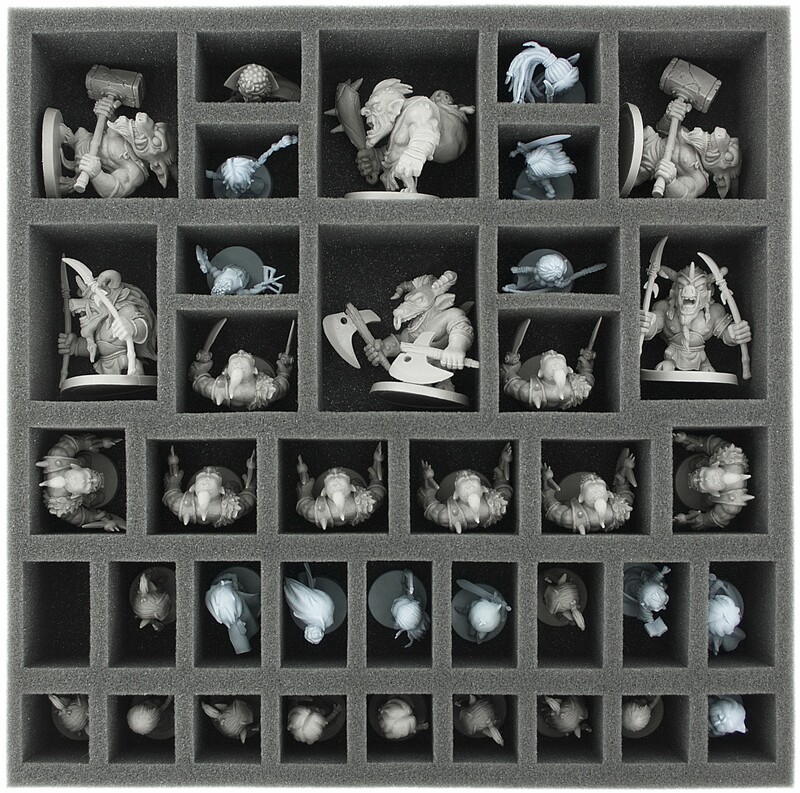 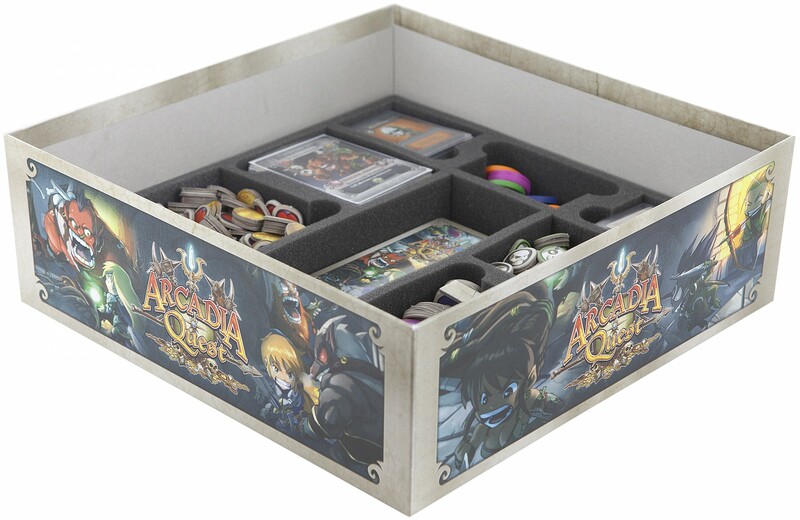 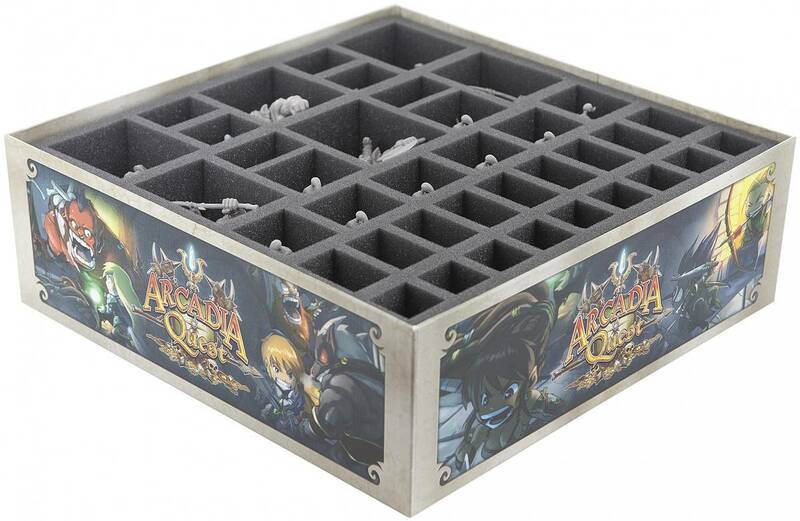 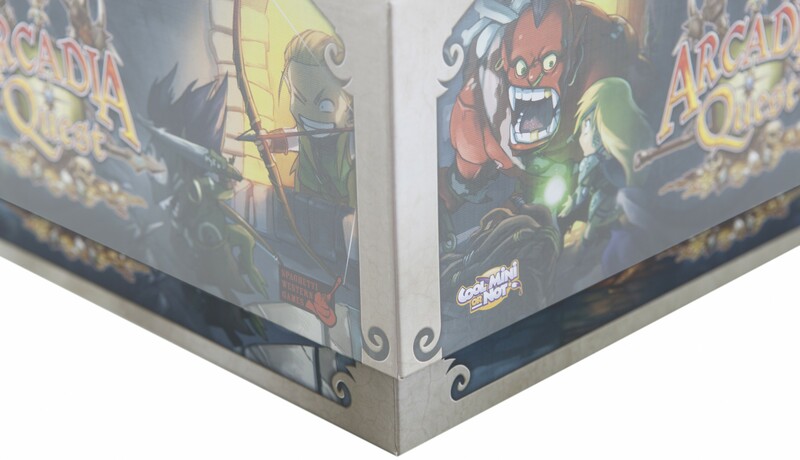 The set was designed to hold the figures of the complete box plus Cards in sleeves, token and accessories. 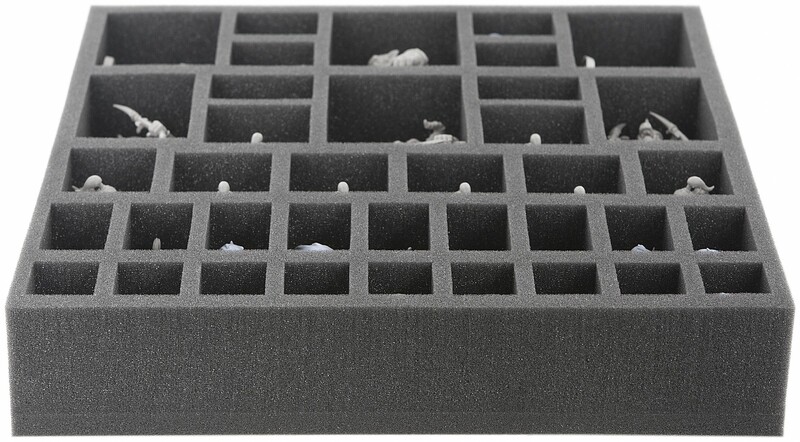 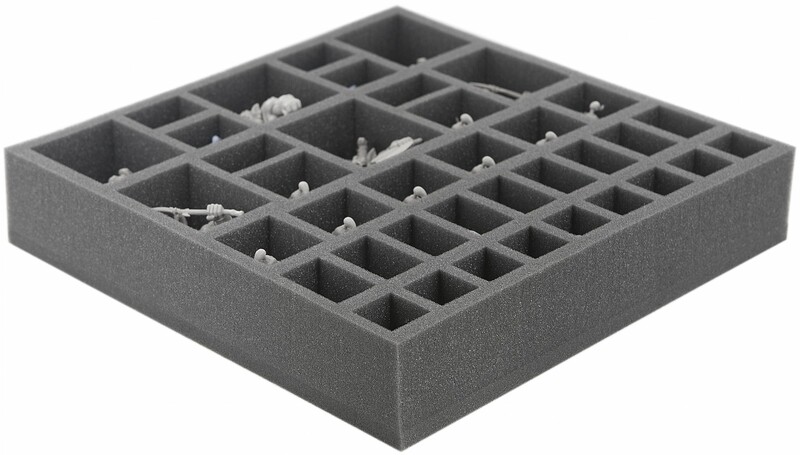 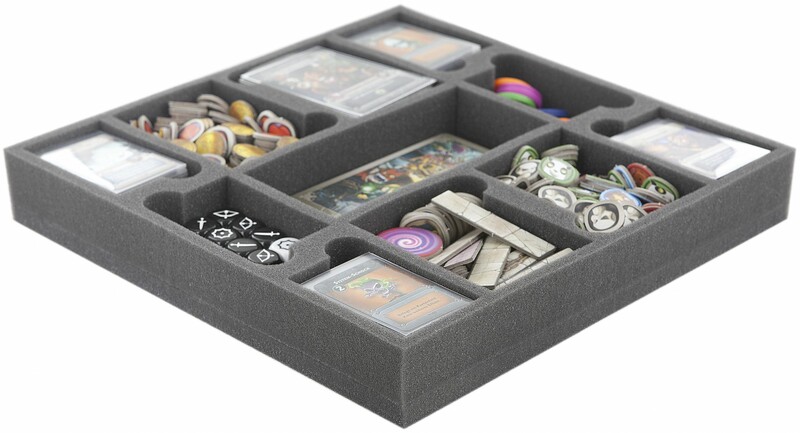 The 55 mm tray offers 38 compartments. 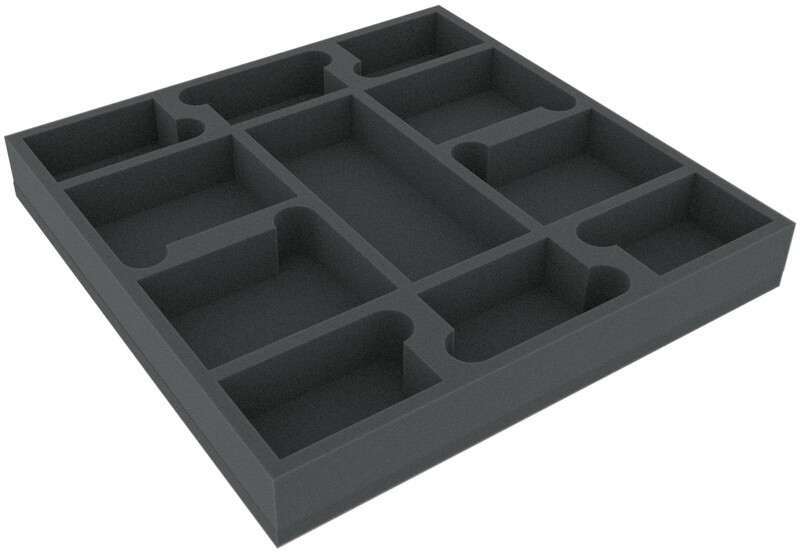 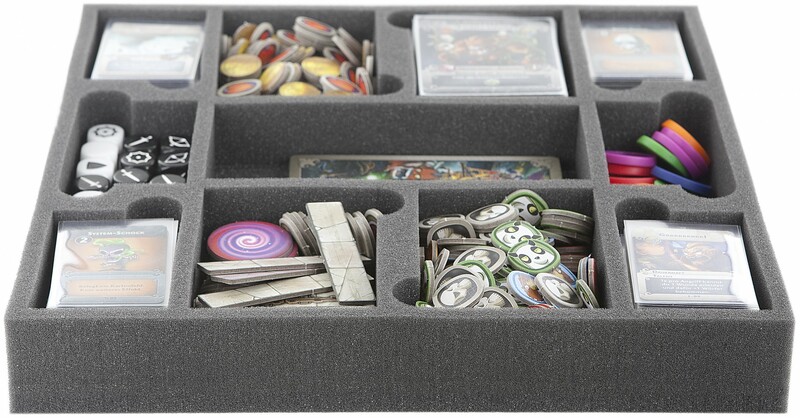 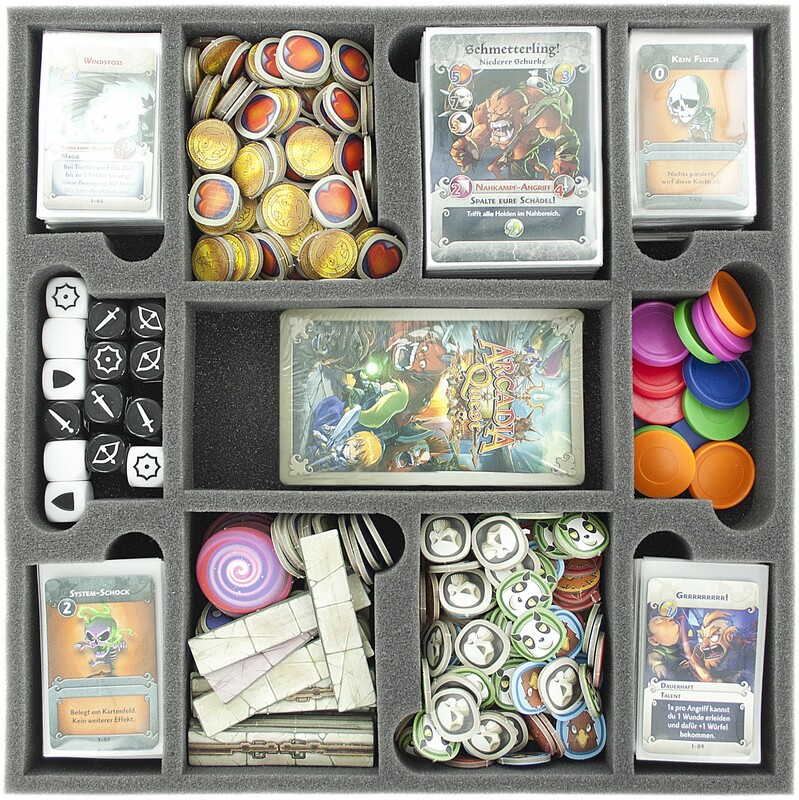 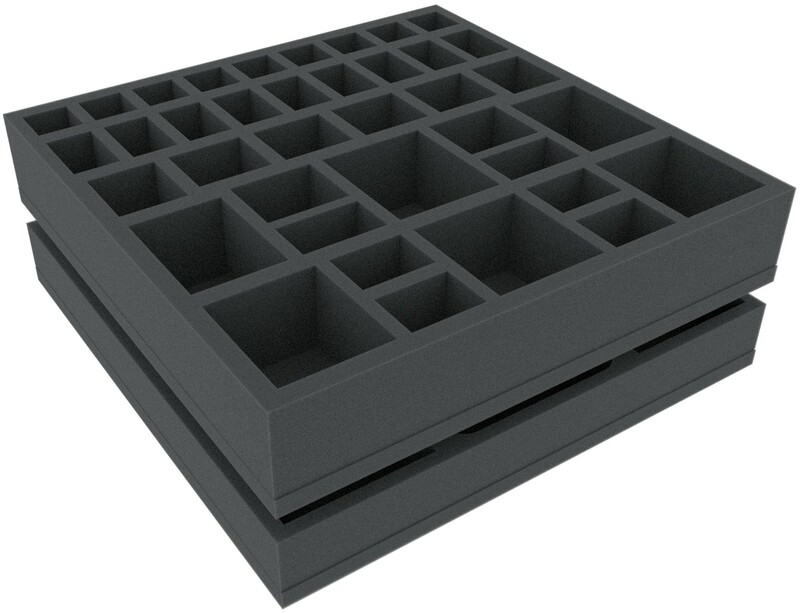 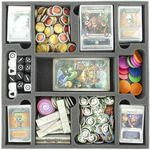 The 40 mm tray offers 11 compartments.